IMGP2147.jpg, originally uploaded by berkeleygal77. For more pictures of recent destruction, click on the picture above and it will take you to my flickr website. Then click on the link that says "berkeleygal77's photostream" and you can see all the house pictures (and my pix from the trip to the UK a year ago, too, for that matter...). 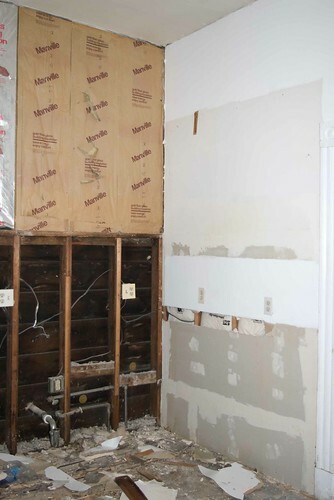 This is what happens when contractors and their people have their way with your nasty old kitchen.